The crisp, tropical breeze, the winds blowing from the East, the infinite summer, and the warm winters--this is Hawaii, a so-called paradise on Earth. You may be a surfer, a swimmer, a dancer, a musician, or simply someone who wants to discover paradise, but no matter what kind of traveler you are, Hawaii truly awaits you. Here, you will certainly never run out of reasons to relax, enjoy, and celebrate life and nature. Indeed a paradise, Hawaii offers endless festivals and holidays. From food competitions to dance performances, as well as musical parades and surfing exhibitions, Hawaii offers nothing but the best of fun-in-the-sun activities and events that will leave you infinitely in love with nature. By reading this article, you will find an outline of some of the most popular Hawaiian festivals that are cherished by the locals and travelers alike. Leaving you with absolutely no reason to feel blue, this article is proof that in Hawaii, you definitely have many reasons to celebrate. Taking place on Oahu each December, the Van's Rip Curl Pipeline Masters is the best time for all surfers. It is one of the world's best and most thrilling surfing competitions held at the the Banzai Pipeline. At a seven-mile stretch along the North Shore, the event is famous for its amazing surfing conditions. Surfers and surfer fans can expect nothing but thrills and no frills during this time of the year. Because December marks the time when the waves along the Pipeline are at their peak, surfers believe these waters to be "heaven," while those who do not surf (or who simply prefer to watch) can just sit back and enjoy the artistry and skill of these courageous athletes as they battle against the massive waves and the depths of Hawaii's deep blue sea. If you grew up playing football, basketball, or baseball, prepare to learn something new. October marks the Molokai Hoe in Hawaii, where the Polynesian sport of outrigger canoe racing takes place. The championships are as much fun to participate in as they are to watch. With up to a hundred teams gathering together to compete in the Molokai Hoe, a challenging 41-mile canoe race awaits. Beginning in the early morning at Hale O Lono Harbor in Molokai and ending in Duke Kahanamoku Beach in Waikiki, expect to witness beautiful sunrises and breathtaking treacherous waters. On the first month of the year, Hawaii is known for the Makahiki Festival. Celebrated in January, this festival spans a four-month season of thanksgiving for the bountiful harvest. 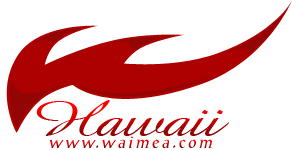 Because of this, everyone is given the opportunity to learn about Hawaiian customs and culture, as well as to participate in them. When the Seven Sisters Constellations appears in the fall, the season of Makahiki begins. But when these stars disappear (usually in January), the festival comes to a close-- but not without a big bang. Throughout the month, there is an entire range of scheduled events, allowing all participants of the festival to listen to scholars lecture about the local history and folklore, as well as to participate in fun and exciting events like workshops, contests, and sports. Hawaii's Volcano Art Center devotes itself to protecting the local cultural heritage and environment. The unique Pa Hula (a stone platform created for staging Hawaiian folklore) comes to life when performers begin to stage their own interpretations of local culture and traditions. Overlooking the famous Kilauea Crater, the Hula Kahiko offers performances once a week from students of Hula Schools. These performances can also offer you interpreters who can explain the meanings of local chants, helping you understand the culture like never before. At the Volcano Art Center, you can also learn more about how the Hawaiian Islands were created. What was once known as "Aloha Week" in Hawaii, Aloha Festivals has recently expanded into a two-month-long festival where over 300 events take place in every island. In September, expect the amazing Aloha Festivals, which bring nothing but fun and excitement with every day. Featuring celebrations of food, dance, and music, the Aloha Festivals open your doors to everything Hawaiian. Prepare yourself for food feasts (both local and international), as well as dance competitions and musical performances. The Aloha Festivals are Hawaii's premier cultural showcase in celebration of Hawaii's sunny and bright culture. These festivals are not only one of Hawaii's largest festivals, but also one of America's statewide multicultural celebration. There are fun and exciting contests that you can participate in, such as the Hawaiian-style sushi-making contest, as well as fun fairs such as the Honolulu street fair. Here, the street fair features a diverse mix of food, dance and musical performances, as well as the Ukulele Contest, and the big Barbecue Competition. The month of April marks the beginning of one of Hawaii's most colorful and popular events. On the Big Island, the Merrie Monarch Festival takes place. For an entire week, this event celebrates Hawaii's local traditions, all in the honor of King David Kalakaua whose nickname is, as you can probably guess, Merrie Monarch. This man devoted his 20-year reign to the restoration of Hawaiian traditions such as the hula, which was suppressed by the Calvinist missionaries in the 19th century. Beginning exactly on Easter Sunday, there is a big concert held on Coconut Island. What follows is an entire week worth of daily events, such as hula competitions that bring in troupes from all over the world, each one vying for a prize. Due to the perfectly sunny and crisp weather in May, Hawaii celebrates the lei by holding pageants in schools, as well as lei-dance performances. Adults are also asked to wear and give leis to their loved ones. Perhaps the most exciting highlight of May is the Lei-Making competition, where size and grandeur really matters. It is no secret that because Hawaii's soil is rich and volcanic, it is perfect for growing coffee. Throughout the years, Hawaii has become famous for creating some of the world's best coffee brews, with the unrivaled Kona coffee taking its place in the list. Since Kona coffee is not harvested by machines (unlike most other coffees), the farms are usually small, quaint, and exclusively owned by families. Because of this, the Kona Coffee Festival held in November gets its warm, hometown-style reputation, where there are tons of events for coffee producers and coffee fans alike. From "cupping" competitions that rank the best produced coffee of the year, to "speed-picking" competitions and cooking workshops, this festival is sure to leave you more than just satisfied. Expect parades, pageants, and, of course, tons of tasting sessions. Held at Kapalua in Maui during the month of July, the Wine and Food Festival is perfect for all food and wine connoisseurs. The event features unique culinary displays, as well as intimate workshops with world-renowned chefs and artisans. You can also expect grand tasting sessions, where everyone is invited to taste food and drinks to their heart's desire. Hawaii's Chinatown is located in Oahu, which is considered to be the home of a large Asian-American population. Here, you can find thrift shops, trendy hang-outs, cafes, bars, clubs, museums, galleries, and even Buddhist temples. During the Chinese New Year in February, this town comes to life with a wide variety of events to celebrate Chinese culture. Beginning with the famous Lion Dance and continuing on with other unforgettable events (concerts, parades, fireworks displays, and art fairs), this occasion is a must-see for every person who happens to be in the area. Between the months of November and May, hundreds of humpback whales migrate to the waters around Hawaii. Due to the warm and shallow conditions, they are drawn between the islands of Maui and Lanai, where it is ideal for whales to mate and give birth. Because of this, you can say that these whales are practically celebrities in Hawaii. There are times when vehicles actually stop moving because the sight of these whales is simply so beautiful and peaceful. For this reason, tons of artists come to the island to watch the whales and to create their own whale and ocean-inspired artworks. Similarly, musicians and Hula troops perform regularly, while naturalists give free talks on the lives of humpback whales. Since the tropical weather is everything but dark and air-conditioned, the Maui Film Festival held in June is no exception. Instead of heading to movie theaters, you can simply stay outdoors to enjoy the films that are screened in venues like the Wailea Beach and Golf Club, as well as the Celestial Cinema. You can also avail of a tour of the beautiful night sky, where an astrologer explains the meanings behind every star. In addition to all of this, the festival also includes art talks on the craft of movie-making, as well as musical and dance performances inspired by the movies themselves.